The band began in March 2005 in Bologna, Italy with the name ‘Earl and the Losers’. Playing original surf instrumental music, they were quickly signed to Greek label Fuzz Overdose Records and in 2006 their debut album was released. With a new sound and a new name (DeSoto), chief songwriter Maurizio introduced songs with more of an Italian Spaghetti Western sound. The main influences for such songs came from sixties acts like Buffalo Springfield, Neil Young, Lee Hazlewood, and Bob Dylan. Equally represented in such sound were “Americana” country artists like Giant Sand and Calexico. 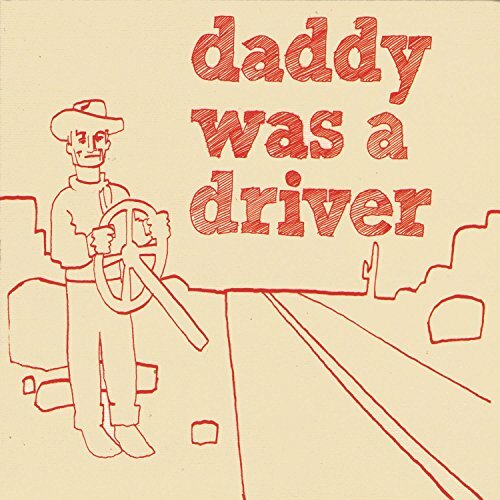 Daddy Was A Driver is the band’s brand spankin’ new name, but the songs remain rooted in the same influences; however, critics also note strong influences from movies by Sergio Leone and David Lynch. Most pertinent to this self titled CD, in late 2008 the band flew to Tucson, Arizona and mixed the tracks at the famous Wave Lab Studios in order to capture the great desert sound. This album represents the perfect marriage of authentic Italian Spaghetti (western music) and “American desert country”! The sound is unique and the love for Americana by these four guys from Bologna shines bright. An extensive tour schedule of Canada, the US West Coast and Southwest in the fall of 2009 will introduce this amazing band to North American audiences.